Dentistry Blossom (Tustin) - Book Appointment Online! 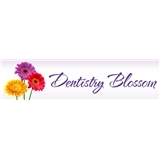 Welcome to Dentistry Blossom, where everyone is given access to a perfect, beautiful smile. Dentisty Blossom is found in Tustin,CA and is very close to Irvine and Orange. Led by the talented Dr. Dimple Manchandia, we strive to provide our patients with the treatments they need to achieve a smile that gives them confidence. At Dentistry Blossom, our passion for cosmetic dentistry in Tustin and Orange County is supplemented by our knowledge of dentistry, as well as the latest technology available in the field. Through precise treatments and close patient relationships, we help our patients reach their goals when it comes to cosmetic dentistry.